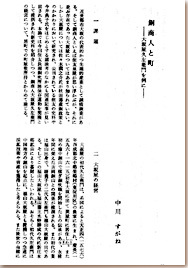 Nakagawa Sugane; scholar on economic history in Edo period. From Takamatsu-shi, Kagawa-pref. Graduated from Osaka University, major in history of literature. Finished master’s courses and acquired a doctor’s degree in literature After working as an assistant for office of history of literature at Osaka University, she is now a professor of department of History at Aichi Gakuin University. Copper smelting was considered as the primary and state-of-the-art industry in the modern Osaka history. The most famous copper merchant would probably be Sumitomo-Izumiya, while Osakaya, which was likewise successful merchant, has never been in the spotlight…I would like to describe how Osakaya managed their businesses, in conjunction with their ownership of properties in the town.